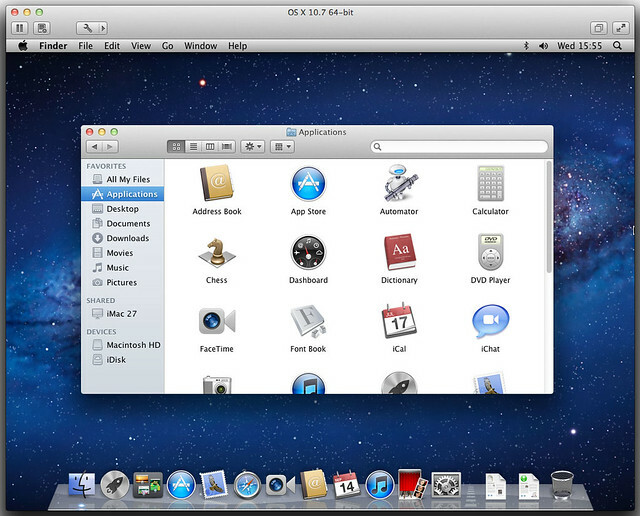 The new version 4.0 of VMware Fusion for OS X was released today, and one of its major new features is that it supports virtualizing OS X Lion. 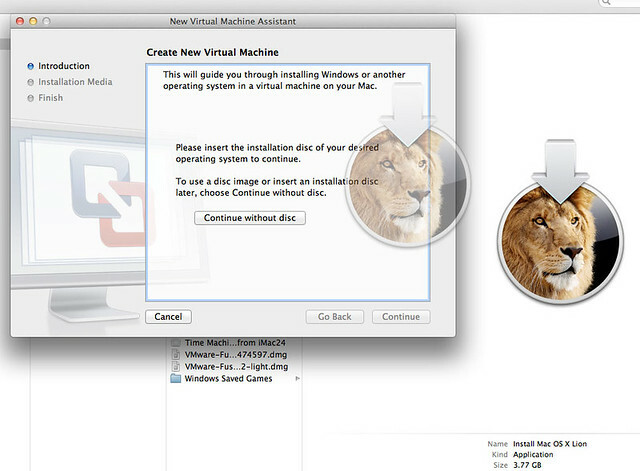 Installing Lion in a VM is incredibly simple, as described below. First, launch Fusion 4 and create a new virtual machine (Choose New from the File menu). The New Virtual Machine Assistant window will appear. Now just drag your ‘Install Mac OS X Lion’ installer app (downloaded from the Mac App Store) into that window. Fusion will recognise the installer and will configure the virtual machine appropriately. You can tweak the settings for better guest performance if you like. Click through the rest of the assistant, and launch the VM. 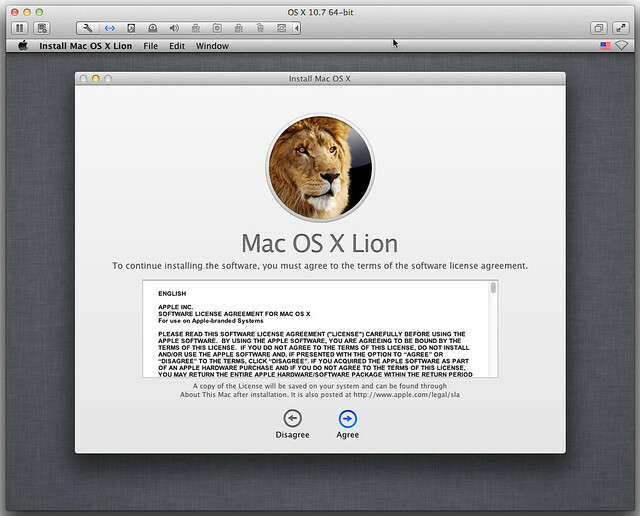 The Lion installer will appear automatically. 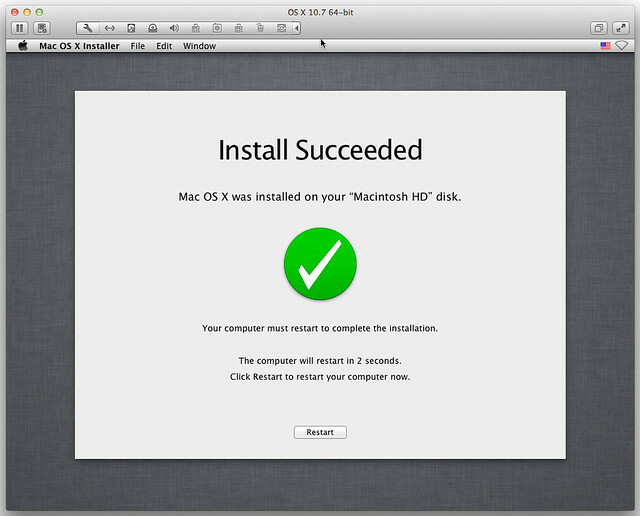 Choose to (re)install Lion when you’re asked, and the installation process will begin. You should find that it runs very quickly indeed; mine took less than 10 minutes in total. The installation should complete without any problems. Wait for the VM to restart, then go through the usual OS X setup assistant process. Feel free to fill in your Apple ID etc - the Lion license agreement permits virtualization, so you’ve not done anything wrong. And that’s it - you’re running Lion in a VM! The last thing you should do is install the VMware Tools (from the Virtual Machine menu), to enable multiple screen resolutions, shared folders and so on. 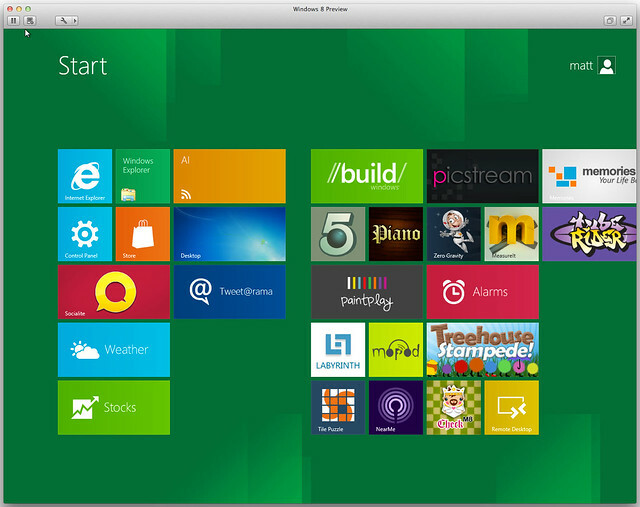 Fusion 4 also supports the new Windows 8 Developer Preview which was released last night, which is also well worth playing with. Just select the ISO image in the New Virtual Machine Assistant, and choose Windows 7 as the operating system. Remember: the Command/Apple key corresponds to the Windows key, and will get you back to the Start screen from within any app. Also try hovering over the left/right edges of the screen to switch between apps. I’ve been talking about Lion quite extensively recently, and I’m also excited about Windows 8. If you want to be the first to know about new articles on those topics (and others), consider following me (@mattgemmell) on Twitter.